"Sunshine Radio was the first station of its kind to come out of Ireland, beginning life in September 1980, a few short months before our visit. Robbie Dale, the well-known former Caroline DJ owned the station, although Chris Carey, another renowned pirate from the swashbuckling offshore days had been involved at the start. Carey, after some internal politics, decided to go it alone with Radio Nova. It had been Dale and Johnnie Walker who took Radio Caroline into illegality aboard the Mi Amigo on 14th August 1967. Sunshine Radio put a good signal into South and Western Scotland, as well as NW England on their 531kHz frequency, announced as 539m to rhyme with Sunshine. The actual wavelength of 531kHz is 565m! I have heard the old saying about an inch being a lot when you don't have it, but 26 metres was perhaps a little over the top. There were no VHF transmissions in the early days of Sunshine, although before too long a 91.6 stereo transmitter came on the air. Originally Dale wanted to use 88FM, so that anyone switching between AM and FM should have been close. Nova however jumped on the frequency first, after Chris Carey left Sunshine and went his own way. It was not until Radio Nova had been on the air and became very popular, that FM became well known to the public that reception was clearer. Sunshine was at this stage still running from 0300/2100 sign off. This was at least an extension on the initial 1800 sign off when they first made it to the air. " There is an interesting history of Sunshine Radio as mailed out by the station's Blackpool address, called Sunshine Radio - 1 Year On. This was published in 1981. See links below to the 11 meg pdf. In 1986, Robbie Dale hired Bill Cunningham from the States, a radio ratings and format expert. Sunshine went from being almost a community station from Portmarnock, to Dublin's number 1 station, by a large margin. Phase one began by playing the same silly song over and over again, followed by phase 2. Remember "Mr Robinson Coo Coo Ca Choo", the generous manager, "The Big Kahoona", and "Don't you dare say hello". 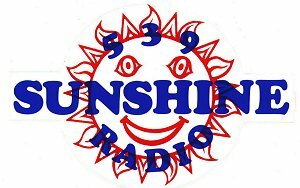 Sunshine Radio stayed at the top of the ratings till the closedown in 1988. 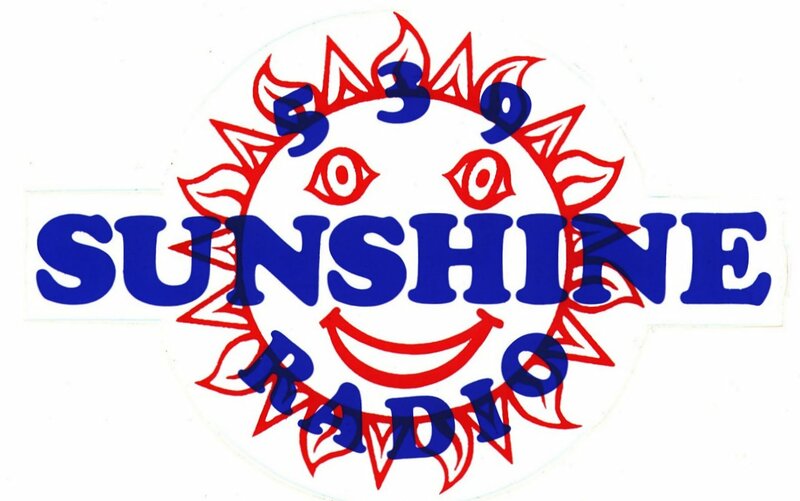 In the audio archives are recordings of Sunshine Radio since the early days of the stations. There are also long recorings from the time they were Dublins number one in the latter days. The recordings have often been recorded in the UK, either in Northern England or Southern Scotland, and hence the general reception may be variable. But in general, they are all well listenable to AM radio fans. This is a bad photocopy of the original article, which was large sized. Maybe someone will come up with a better version.